certain dimensions. 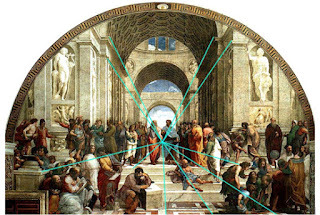 Abbot uses this in his book, instead of a drawing he uses literature to express dimensions of the world in a certain view, a bunch of shapes on a plane, but each shape and figure is described with proportions that need to be exact to each respective figure because that is how a person can tell a boy from a girl or a carpenter from a businessman. Some artists are using math for a reason by using a vanishing point or to help their readers in the case of Abbot to understand dimensions of characters. 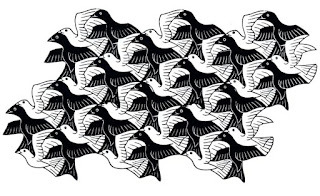 Escher uses math to make sure that his plane is proportional and even with the shapes he chooses to use in his art. He believes math has opened up more variety to his art. Math, Art, and Science all play a roll in each respective field. I learnd that math has a greater influence on Art than i had expected it to, but as I dug deeper into the material it seems that Math is used to help the art become more real to the observer; this is essential for artists. Abbott, Edwin. Flatland: A Romance of Many Dimensions. 1884. Print. "Edwin Abbott Abbott." Edwin Abbott Abbott. Web. 10 Apr. 2016 <http://www.math.brown.edu/~banchoff/abbott/Flatland/ISR/>. Franz, Marc. “Lesson 3: Vanishing Point and Looking at Art.” Web. 10 April 2016. 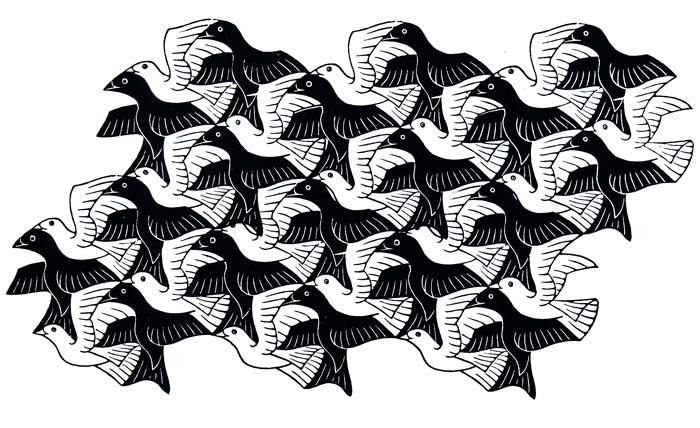 "Perspective: The Role of Perspective: Page 3." Perspective: The Role of Perspective: Page 3. Web. 10 Apr. 2016. <http://www.webexhibits.org/sciartperspective/perspective3.html>. I really appreciate the use of vanishing point in drawings. I remember when I was visiting museums and looking at paintings before the appearance of the vanishing point, I felt those paintings were awkward to look at. However, as you said, maths open up more options for art, one can also think that the lack of a vanishing point is a perspective on its own, even though it is not a realistic one.